After a couple of days recovering from NGSE, Tuesday morning it was off to London. 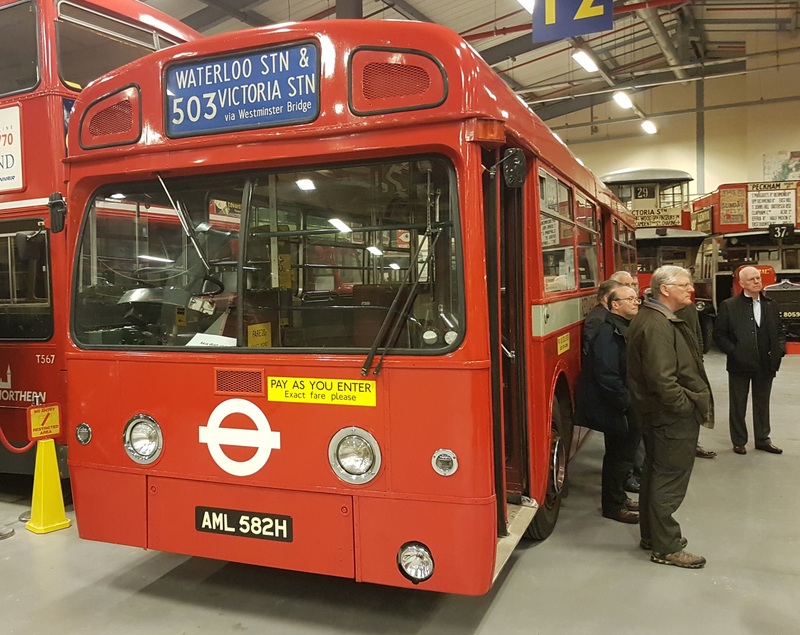 I had been invited to join a private tour of the London Transport Museum Depot. 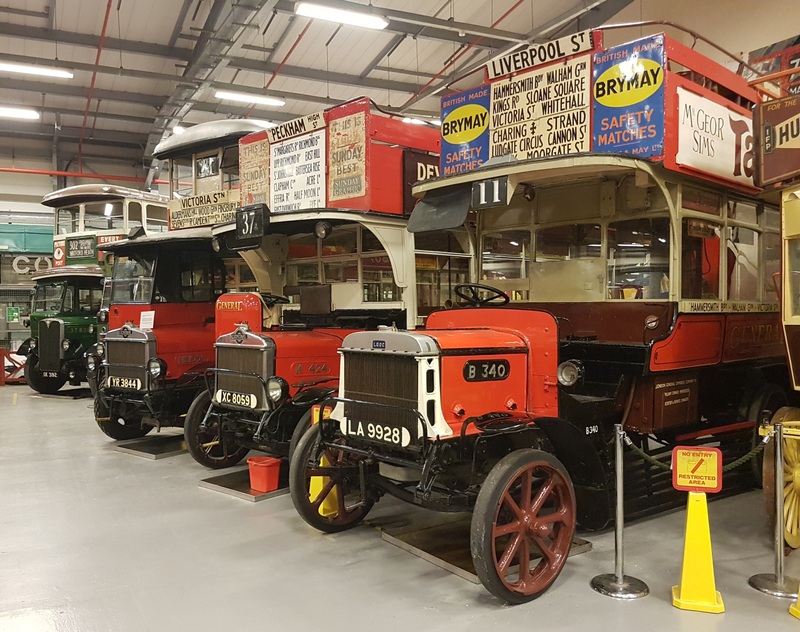 Situated in an old underground maintenance depot out at Acton, this holds all the items – thousands of them varying in size from ticket to tube train – that are not being displayed in the main, but smaller, Covent Garden museum. The private, guided, tours run on Tuesdays, for a group of up to ten persons. There were nine of us, and it worked out at a very reasonable £18 each – far less than a peak hour travelcard needed to get there. The entrance to the museum is not exactly understated. 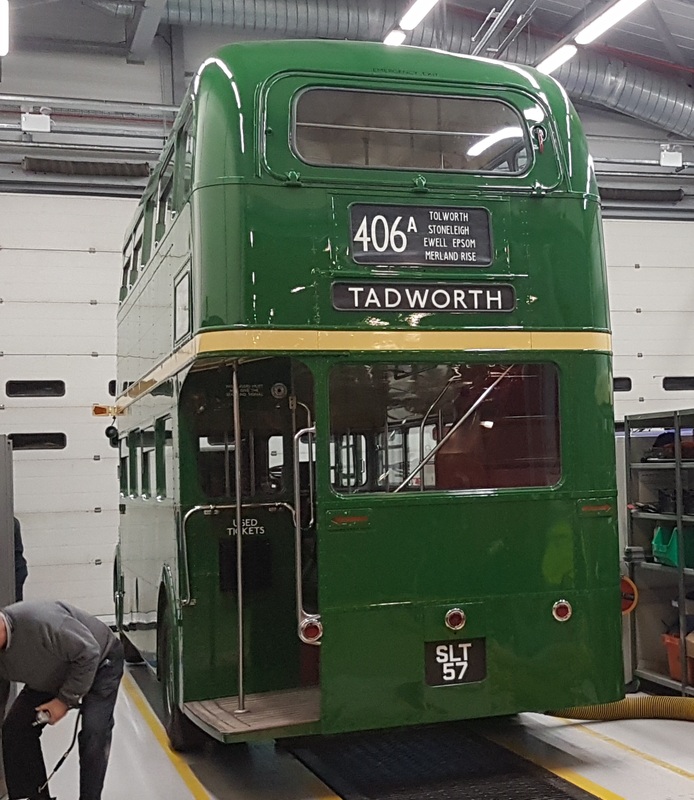 Todays blog will have the buses, and next time the trams and trains. 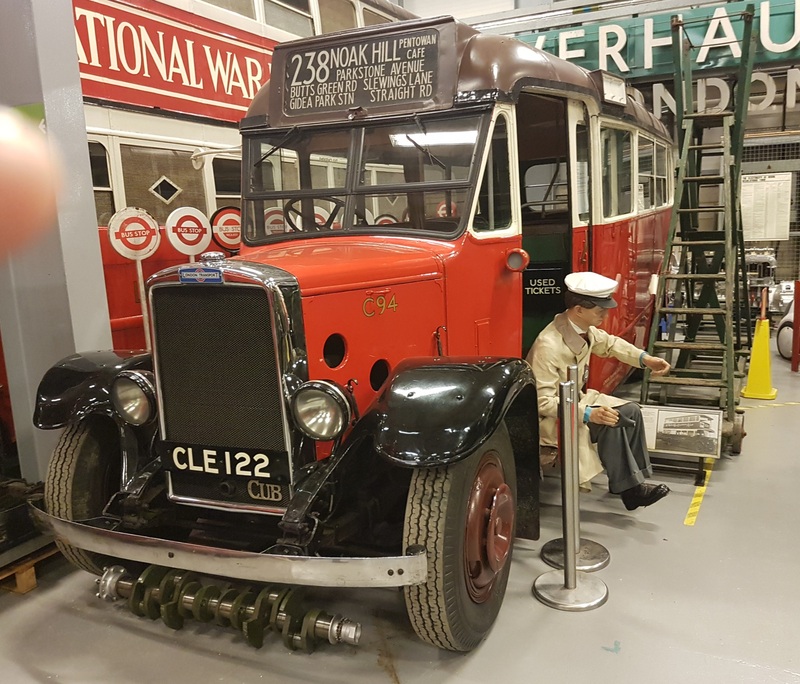 The first thing you see is a circa-WW1 ‘pirate’ bus that competed with the London General red buses. John, our morning guide, was infinitely knowledgeable (I only managed to out-nerd him on one detail – District Line through trains to Southend) and happily talked for most of the morning. 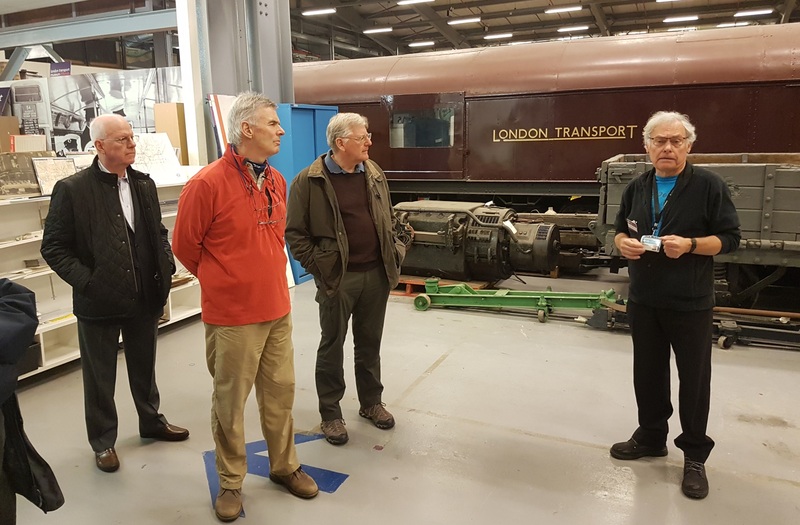 In the background is a tube line ‘sleet’ locomotive, that put antifreeze down on the 3rd and 4th rails on the overground bits of the underground. 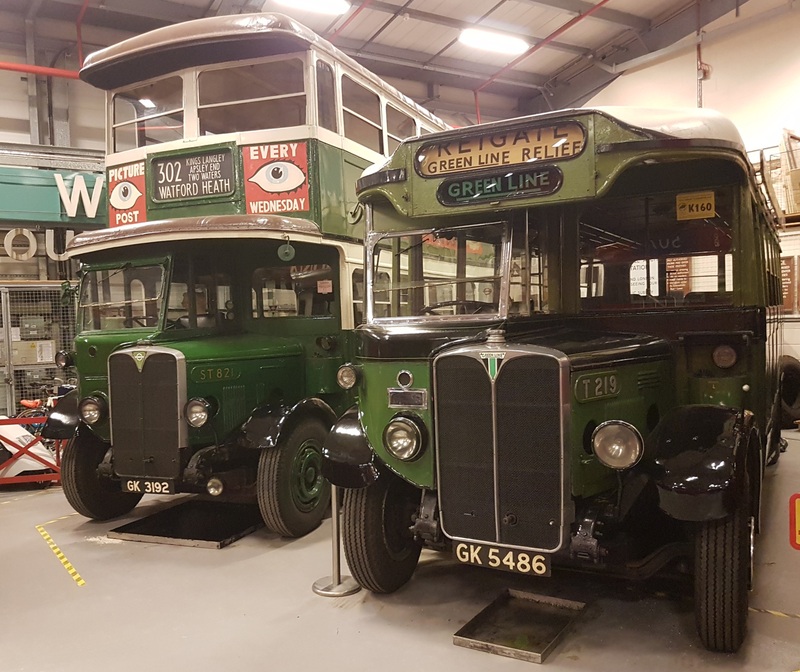 Some early buses, included the classic design in the foreground, many of which went out to carry troops in France in WW1. 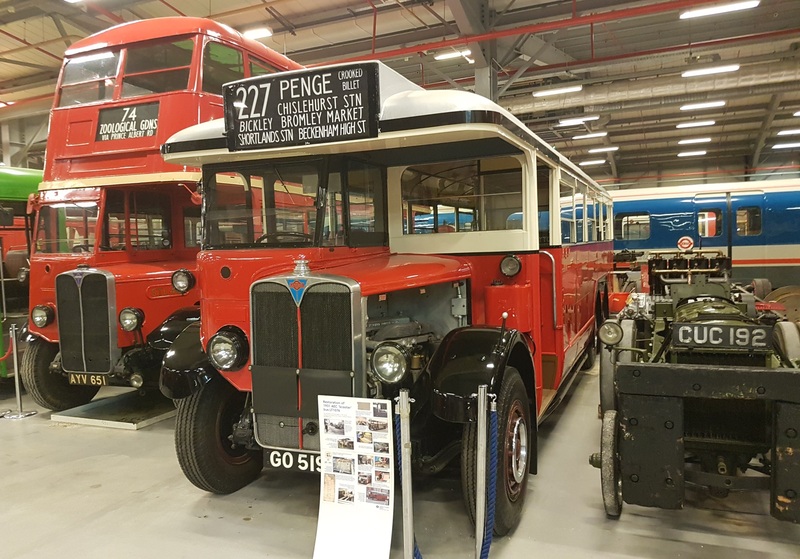 What is noticeable is how many of the bus routes on these old buses are the same today, though often shorter, or split, in length. 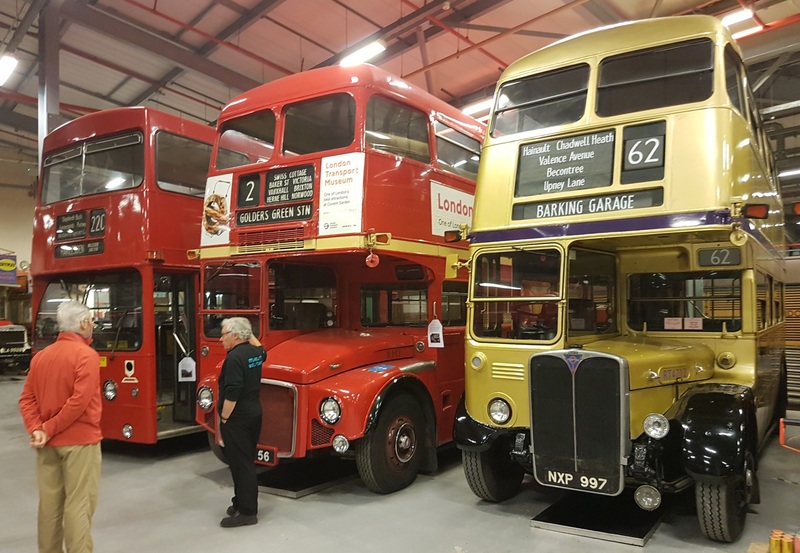 The bus on the left is one of the first in a long line of designs culminating in the Routemaster – a closed half cab and pneumatic tired were a great advance. 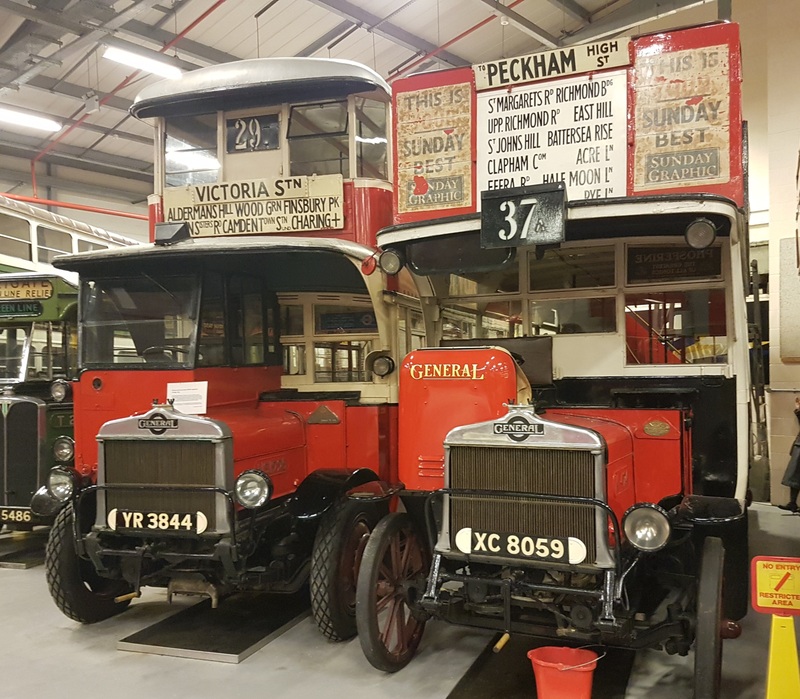 Early ST and T country buses – double and single deckers of the same design. 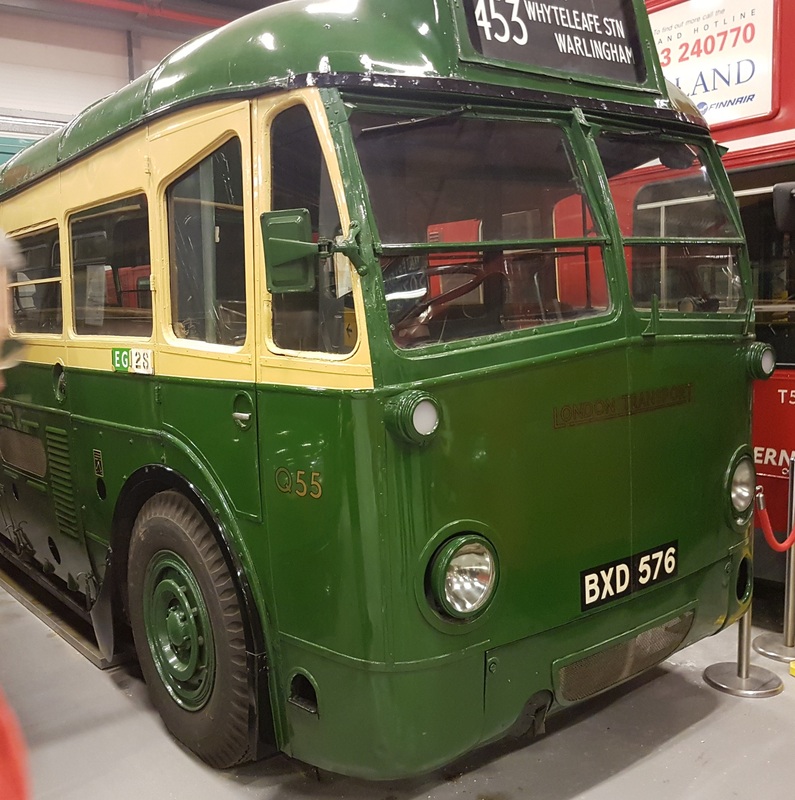 And a Leyland Cub bus, used for early one-man-operated minor routes. The museum has a number of No. 1’s. 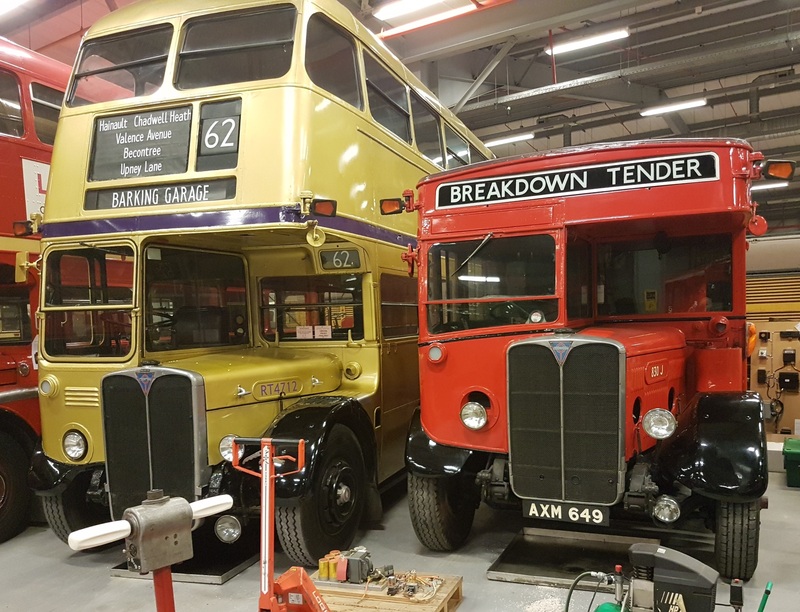 Here we see DMS1 and RM1, together with the classic (even more so than the RM, really) RT design painted for the queen’s golden jubilee. I can remember introduction of these Red Arrows, linking the London main-line stations. And my favourite, the GS. Again for minor country routes, I used to see these on two or three little circular routes out of Orpington Station. The Q was a radical 1935 AEC design with a transverse engine. It looks very modern for its day. And a TF coach – back to the half-cab design. A six-wheeled ‘scooter’. When I travelled to school, the 227 route was populated by RF’s. On the right is an ancient tractor, fitted with a buffer to push trams around the depot where there were no overhead wires. 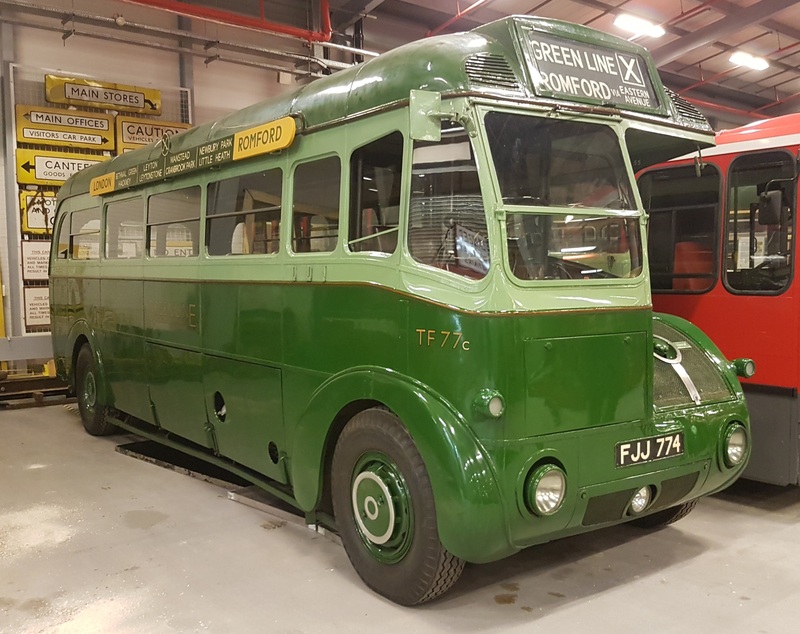 And the first green Routemaster. 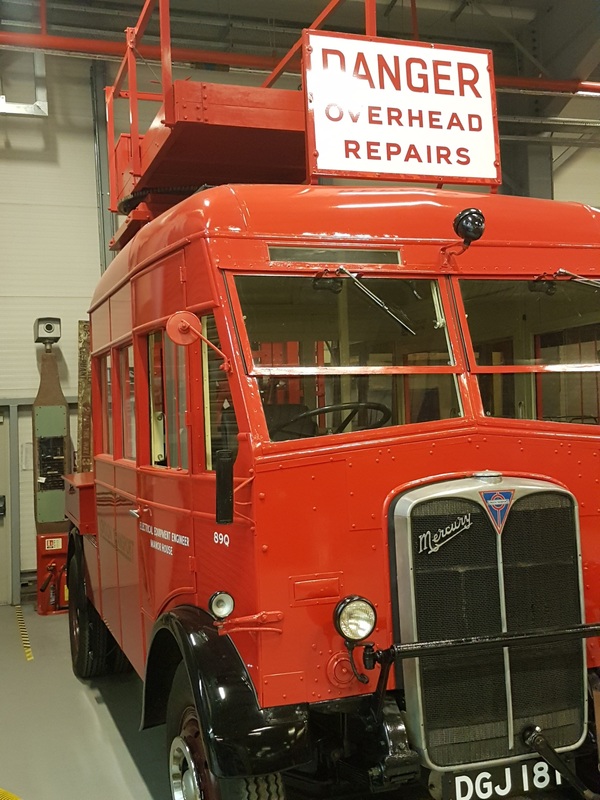 Last for today, a overhead wire maintenance vehicle, that leads us nicely into the trolleybuses and trams. 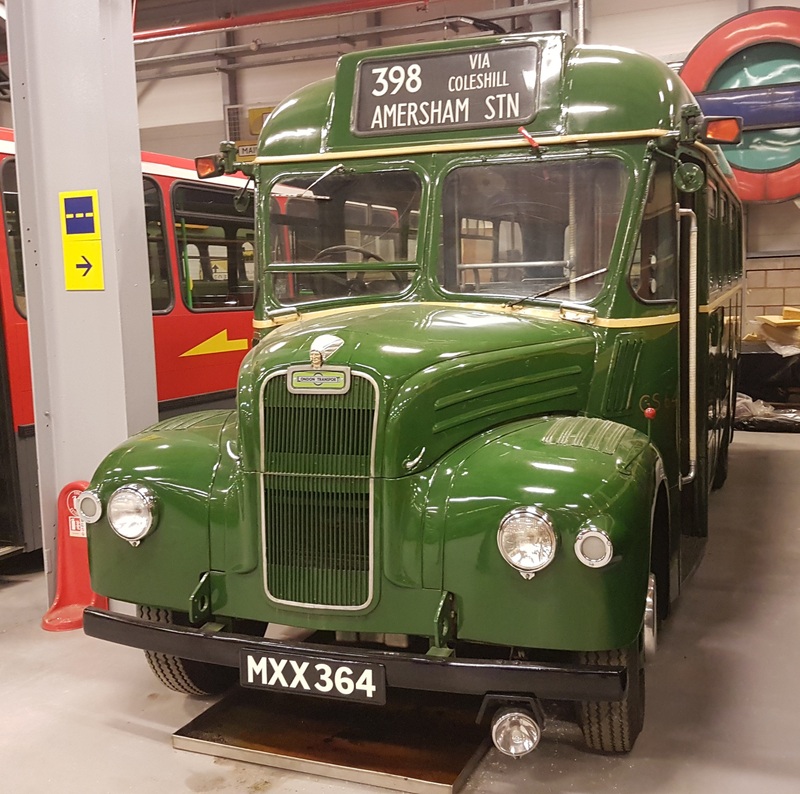 This entry was posted in Inspiration, Out and about and tagged buses, London Underground, prototype. Bookmark the permalink.